Make others turn green with envy at your new shade of Crazy Color Semi-Permanent Hair Dye in Emerald Green! It's sure to give you a whole new awesome look! Totally transform your style with the Crazy Color Semi-Permanent Hair Dye in Emerald Green! A bold and alternative shade, this green dye is certain to make your look stand out from the crowd. 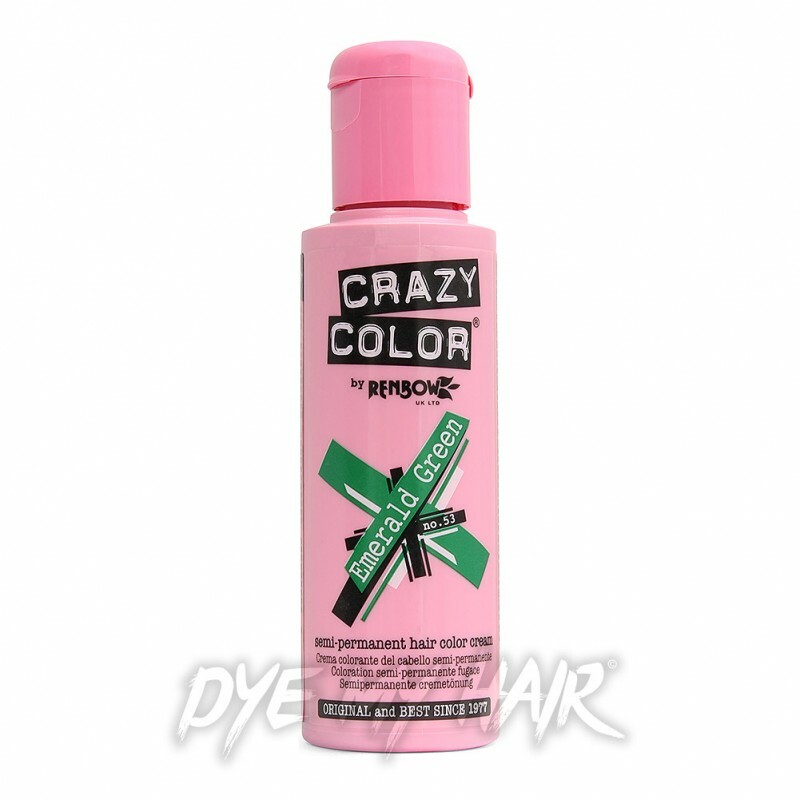 If you’re looking for a bright and vibrant color that’ll last for up to 8 washes, then this is the dye for you! With a peroxide free formulation, this hair color is exclusively made from ingredients that aren’t tested on animals, plus it has the added benefit of conditioning the hair as it colors. Great for anyone seeking a commitment free new color, you’re sure to turn heads when you use this temporary dye! In just one application, you can completely switch up your locks to a new bright shade. 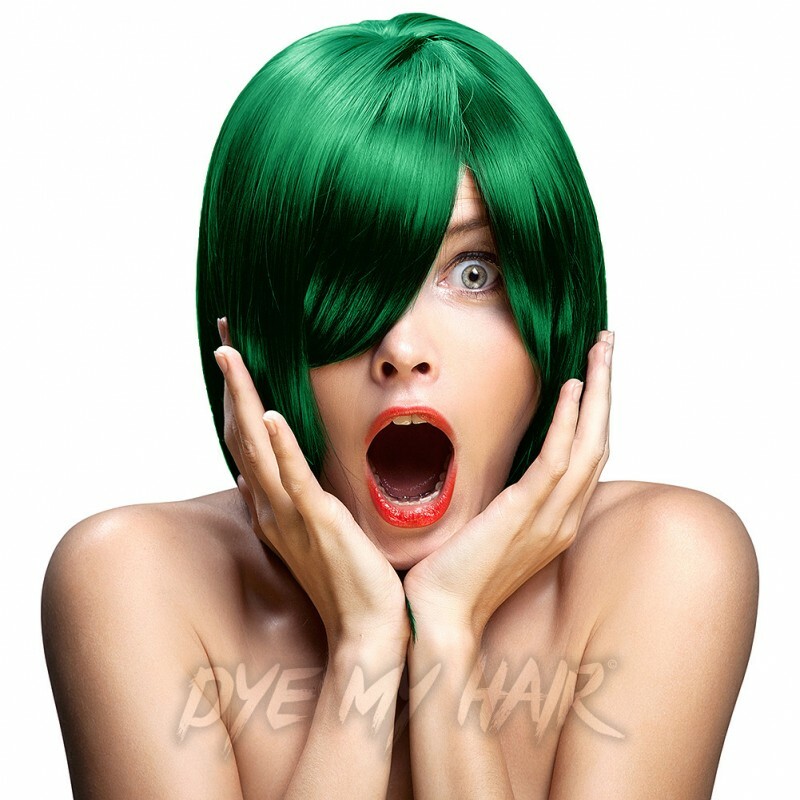 Go wild and try out this awesome shade of Crazy Color Sem-Permanent Hair Dye in Emerald Green! Please Note: Results may vary depending on your hair type, base color and hair porosity. This hair dye is not suitable for use on hair with more than 10% grey coverage. To achieve a result closest to the color shown on the packaging, hair should be pre-lightened to a level 9 or 10. Always perform a patch test prior to use. Make sure that you read and follow the instructions included when using this product.